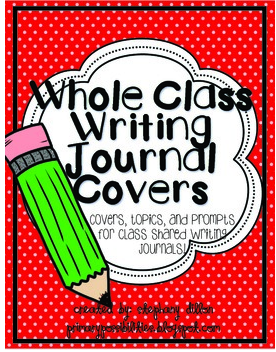 Primary Possibilities: Whole Class Writing Journal Covers... SUPER SAVINGS! 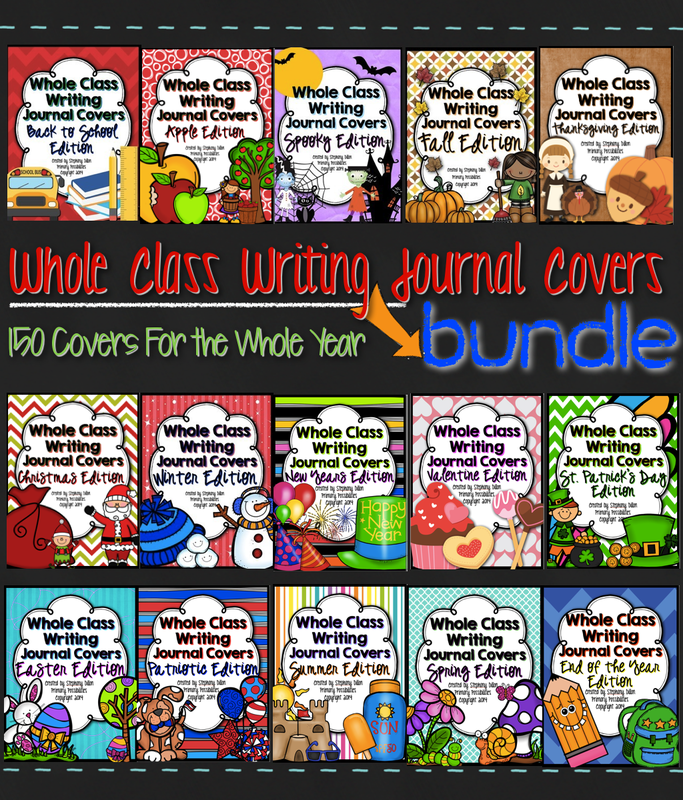 Whole Class Writing Journal Covers... SUPER SAVINGS! 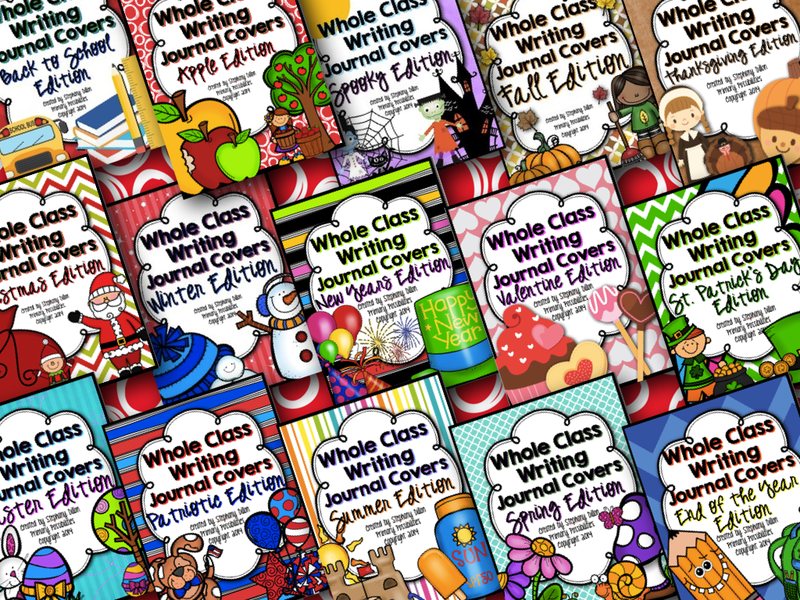 I have used whole class writing journals in my classroom for several years now. They are super easy to prep and can be used in a variety of ways! And then I created supplement packs with themes for throughout the school year. 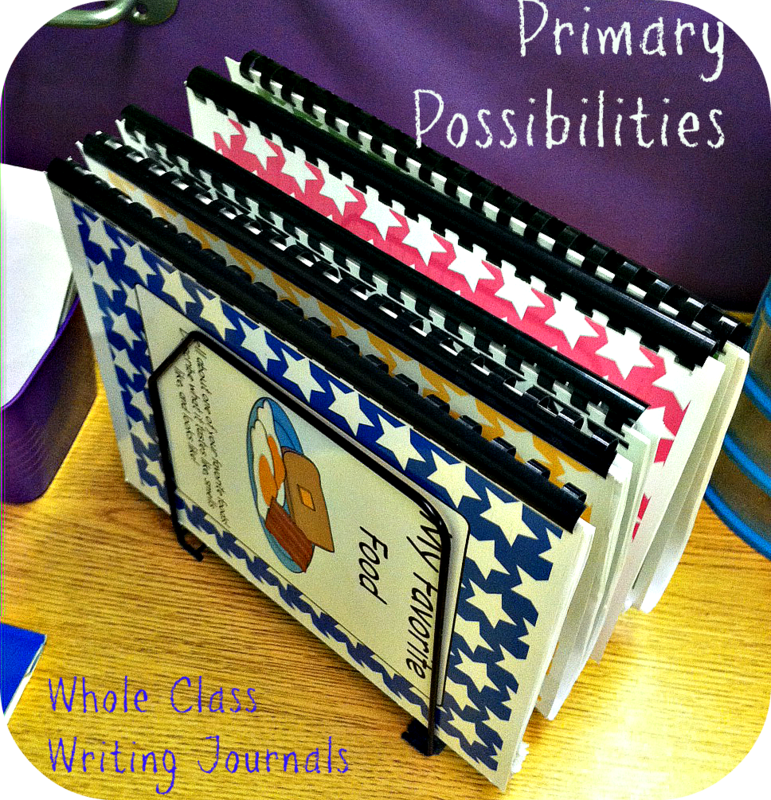 The journals can also be used for a whole class activity. Use one of the prompts on the front of the book and have the entire class write about it. Edit them, rewrite a "pretty" copy and you have a complete class book with a cute cover for open houses, young author events, or even to sit out for parents to read during conferences while they wait! Prepping them is super easy no matter how you decide to do it! I print the covers on card stock, laminate them and then comb bind them with writing paper (that has a place for a picture). You can print them on regular paper and glue them to the front of a spiral bond notebook or print them two to a page and slap them on the front of a composition notebook. The supplemental themed packets can be purchased individually or in a money saving bundle... the bundle is for sale for over 50% off this weekend!